Sports brand uses activation to showcase its latest collection. Reebok and MTV are hosting a series of fitness events across DW Fitness First gyms across the country. MTV, the Viacom Media Networks channel, has created five 10-minute workouts that are designed to be "fun and accessible". 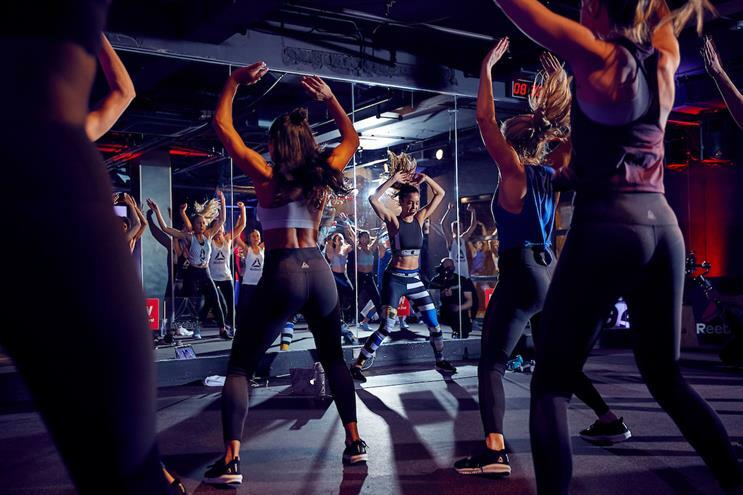 The partnership launched last night in London Bridge, where influencer Danielle Peazer ran a series of workout sessions while wearing Reebok’s latest gym gear. There will be similar events taking place in other parts of the country. Electric Glue brokered the partnership. Its head of client partnerships Jess Moore said: "This is an exciting opportunity to amplify the message that DW Fitness First actively supports women who want to be more engaged and involved with sport – whatever their level is. "During the first phase of this campaign, we will focus on opening communication with an engaged 18- to 35-year-old female audience. In the second phase, we will retarget this audience and focus on conversion. MTV’s channels are the perfect place to start this conversation and showcase the Reebok/DW Fitness First/Danielle Peazer collaboration."